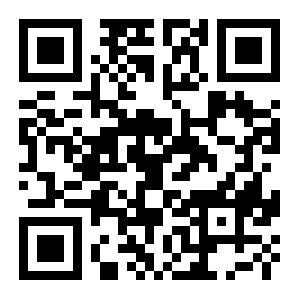 Music News, Things That Make You Go HA! 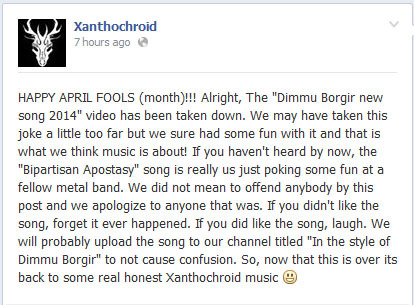 Remember when we posted about a new “leaked” Dimmu Borgir track featuring a member of Xanthochroid? Well…it was a gag! It started on April Fool’s Day with a post on Xanthochroid’s facebook page and just snowballed so much that Nuclear Blast flagged the YouTube clip and had it removed. So, if you fell for it….gotcha!